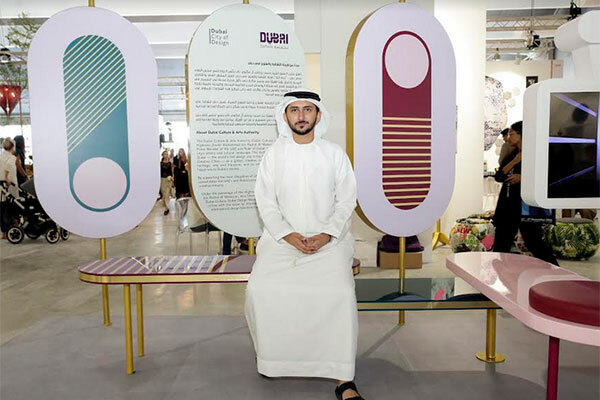 Dubai Culture & Arts Authority (Dubai Culture), the emirate’s dedicated entity for culture, arts, heritage, and literature, in support of design events taking place in Dubai, participated in the recently concluded Downtown Design. The event was held under the patronage of Sheikha Latifa Bint Mohammed bin Rashid Al Maktoum, vice chairman of Dubai Culture, from November 13 – 16 in Dubai Design District. Al Mulla’s ‘Shak’l’ is a dynamically coloured project that features seats, each with three platforms and two pivoting points that rotate to accommodate people’s preferences, allowing them the flexibility to modify their seating at will. ‘Shak’l’ also contributed to enhancing the range of designs at the event and enriched the projects and collections which included a selection of trademarks that introduced innovative products for the first time in the region in the fields of furniture, lighting, and innovative fittings.